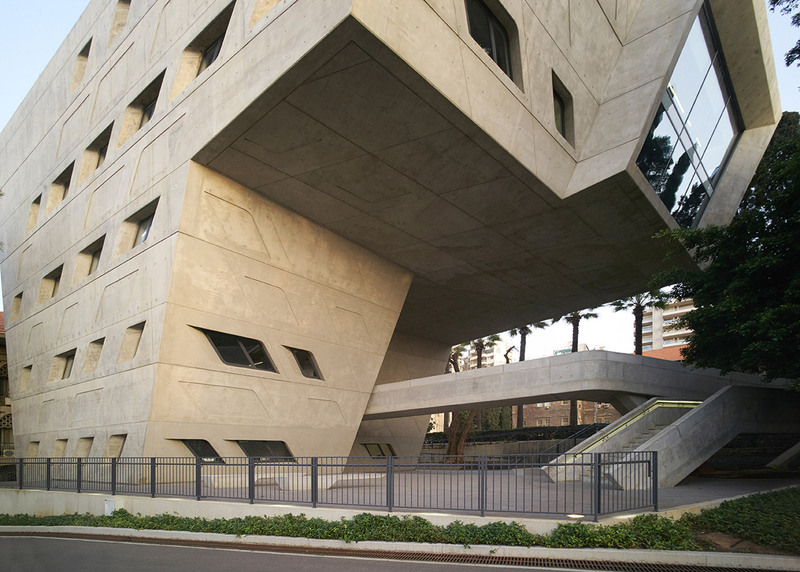 Zaha Hadid 1950-2016: the day before Zaha Hadid suffered a fatal heart attack, photographer Julien Lanoo unexpectedly stumbled across her Issam Fares Institute in Beirut, Lebanon, and created a new set of images (+ slideshow). 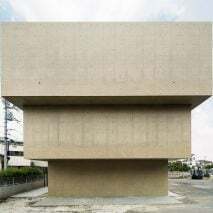 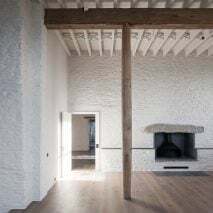 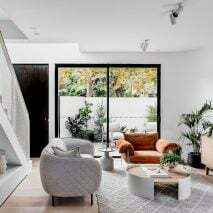 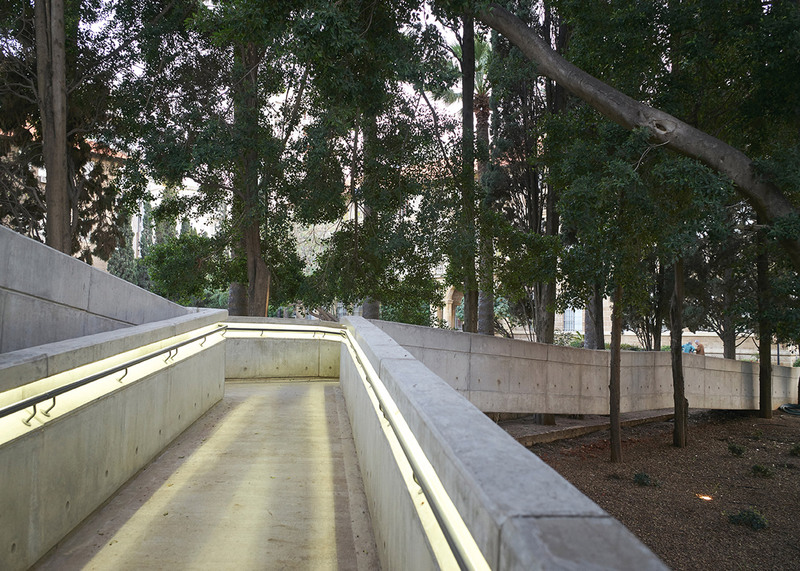 Sent exclusively to Dezeen, the photographs are described by Lanoo as "a small tribute the day before she left". 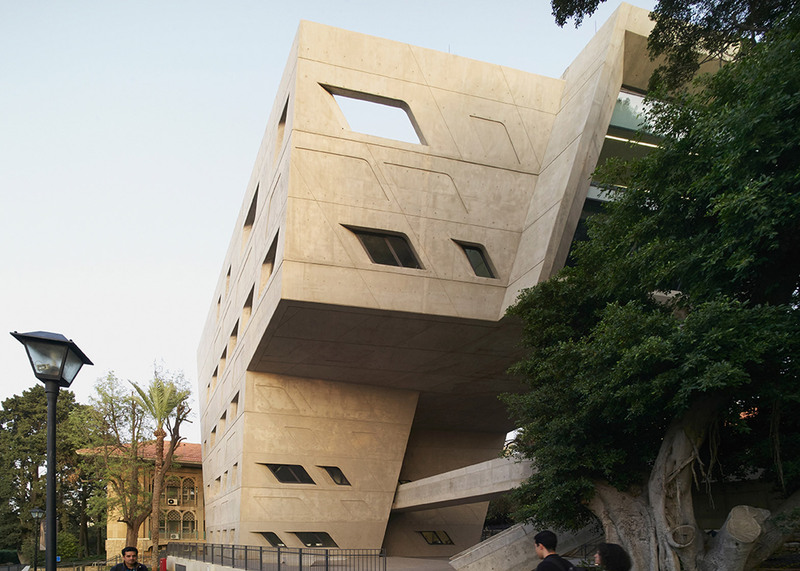 They offer a new perspective of the Iraqi-born architect's first completed building in the Arab World – an institute dedicated to the development of public policy. 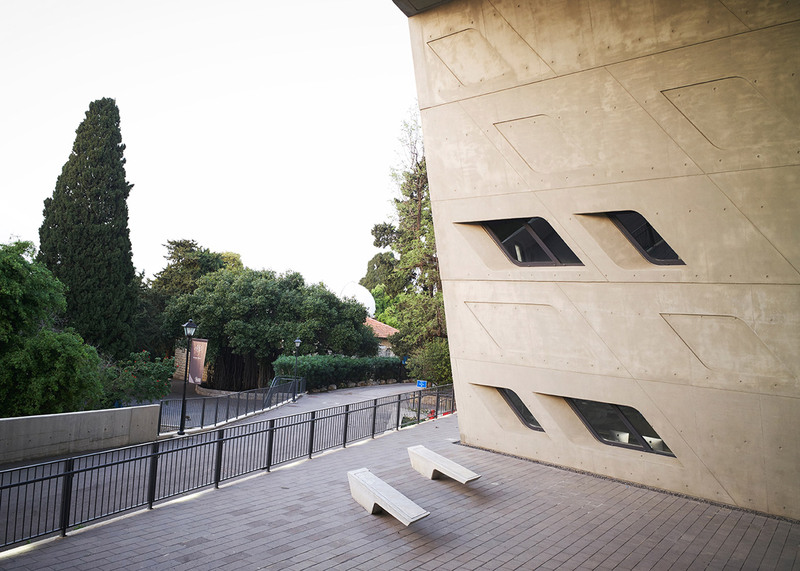 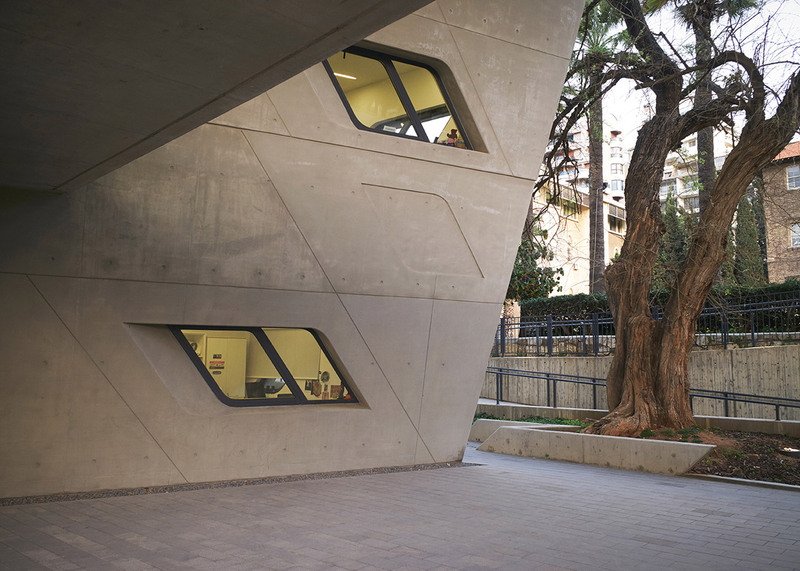 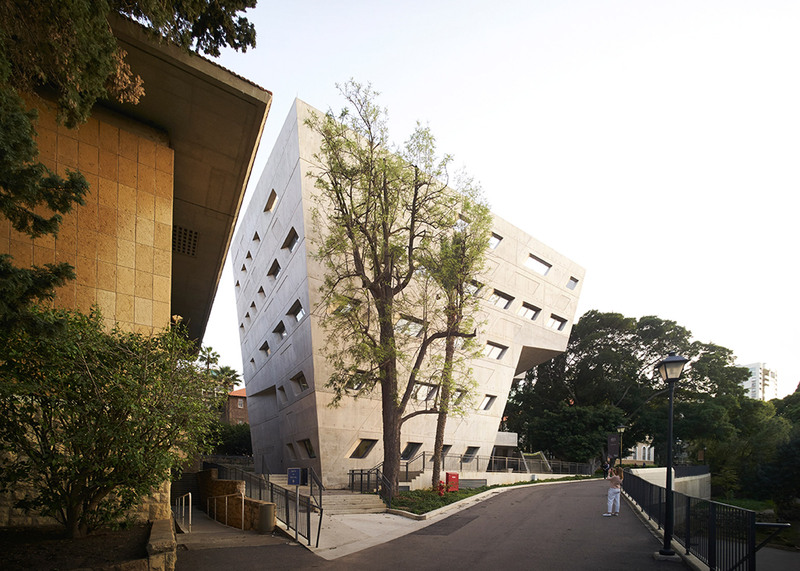 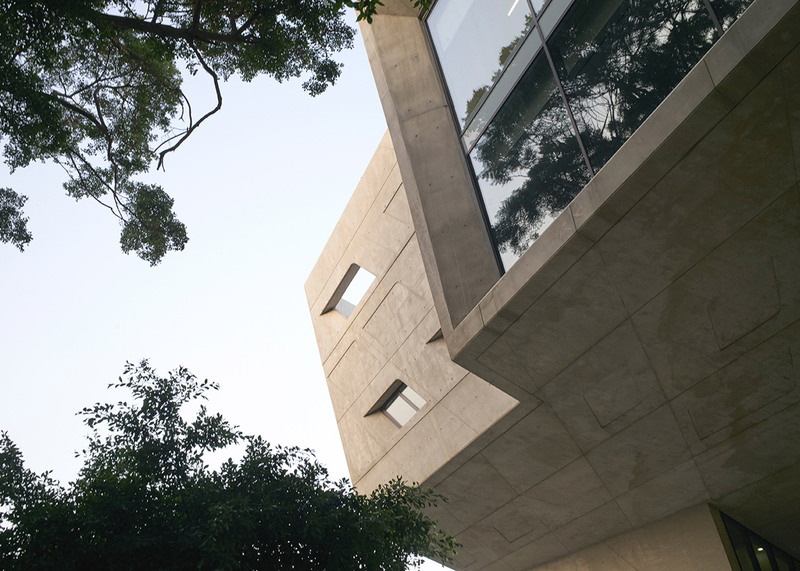 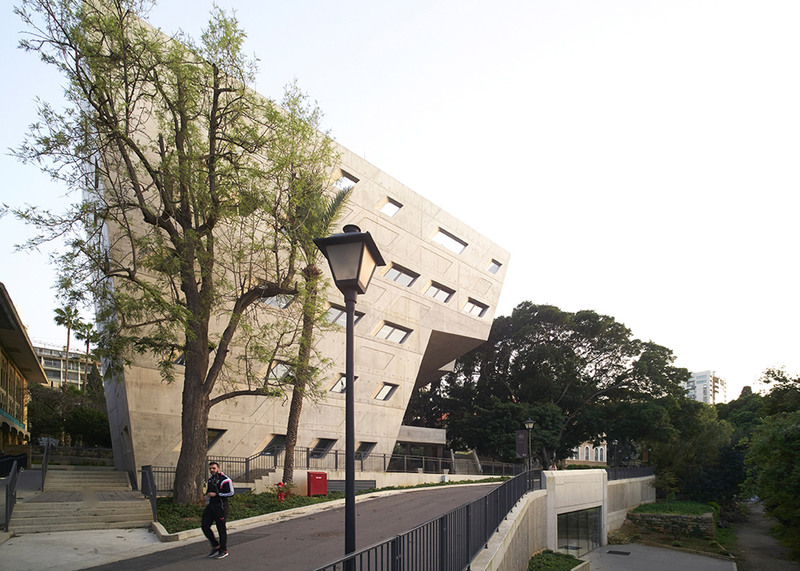 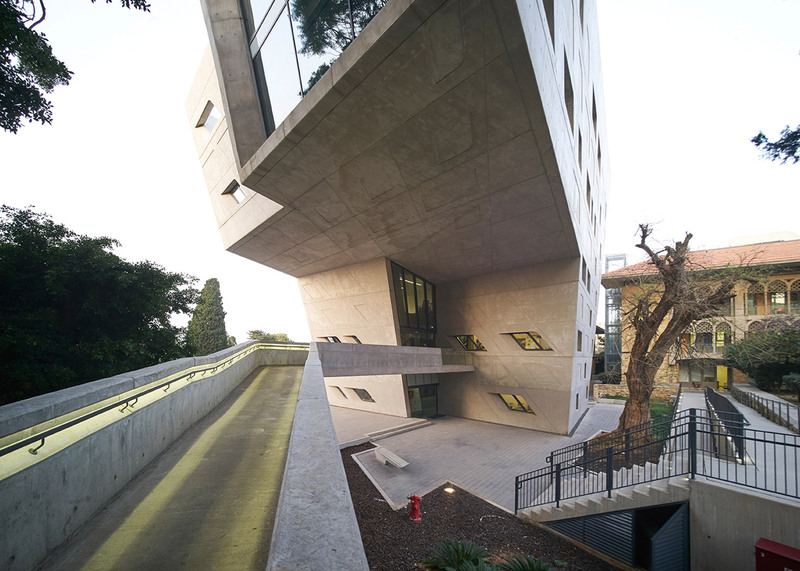 It forms part of the American University of Beirut, where Hadid herself studied before moving to London. 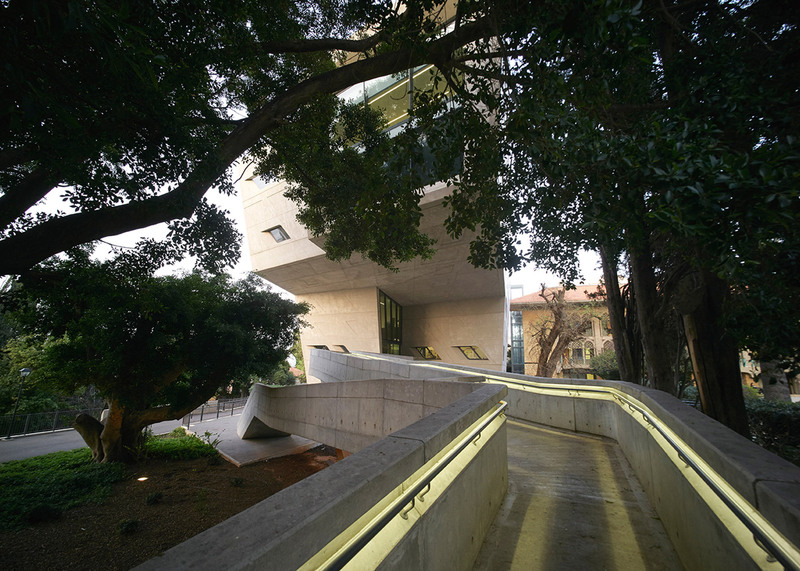 "I got news of this building while socialising in a bar in Mar Mikhaël," Lanoo told Dezeen. 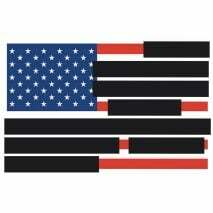 "I didn't know about it." 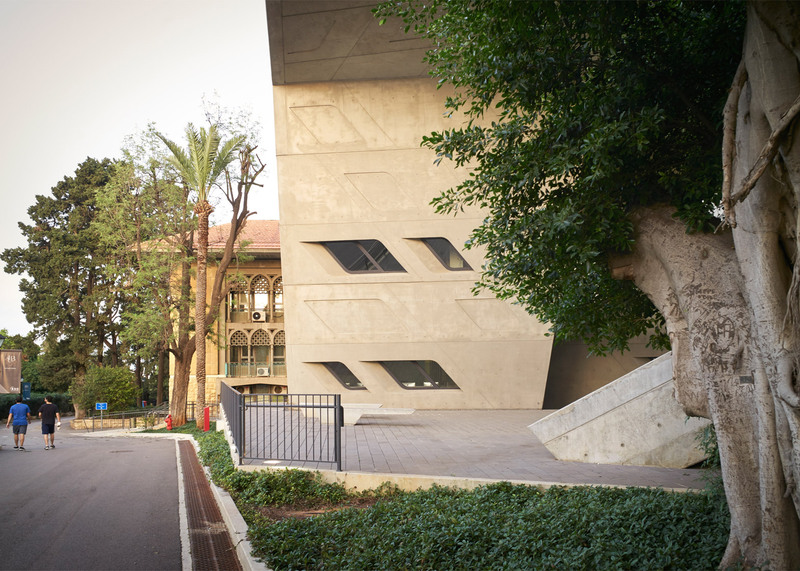 "I did some research and found out it was Zaha's first building in the Arab World, and that she studied at that school, so I had a feeling there must be an intimate link and some trace of a love for the place." 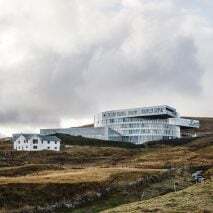 "So I made some room in my schedule and went to it, just on foot," he added. 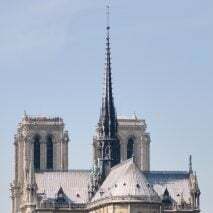 "It was the day before she died. 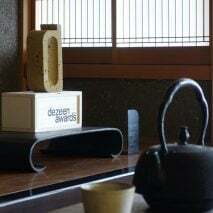 Really, the day before." 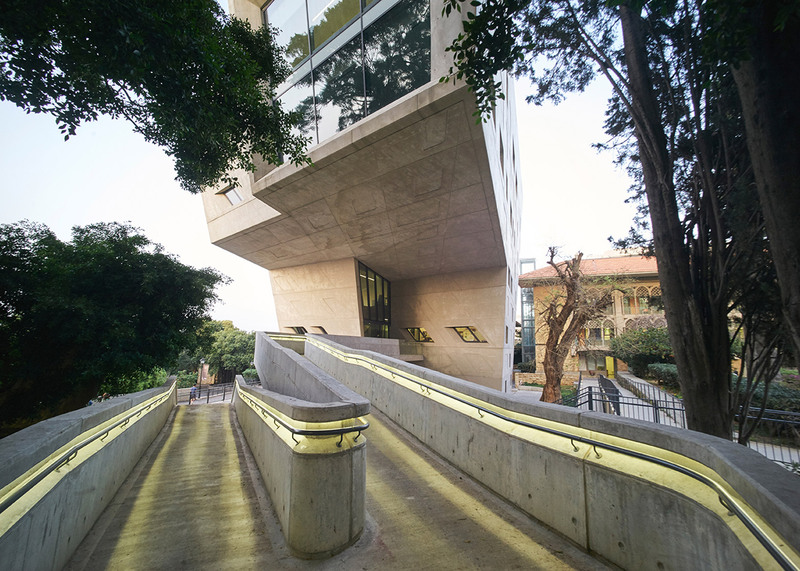 Completed in 2014, the Issam Fares Institute for Public Policy and International Affairs is a top-heavy 3,000-square-metre building that cantilevers over a public courtyard and a series of elevated pathways. 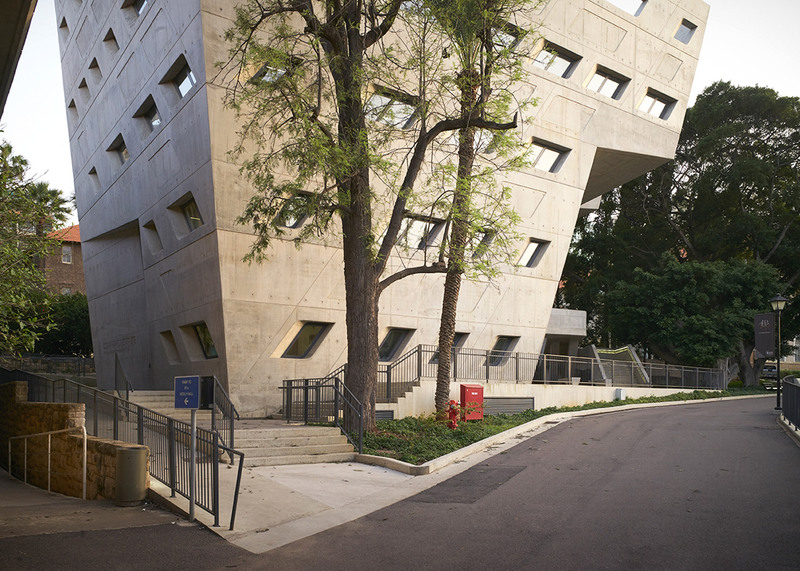 Like the other buildings on the university campus, it is built from concrete. 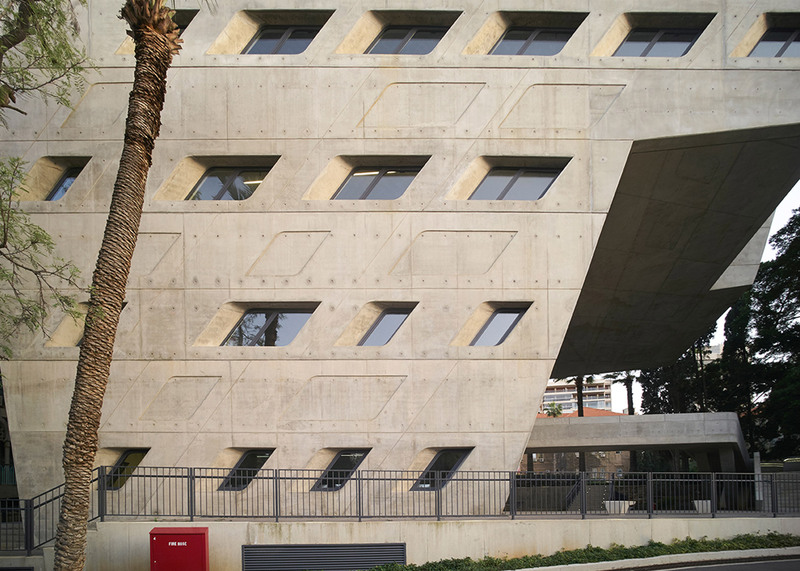 Each wall is indented with curving four-sided shapes, many of which function as windows, and there are entrances on three of the structure's five floors. 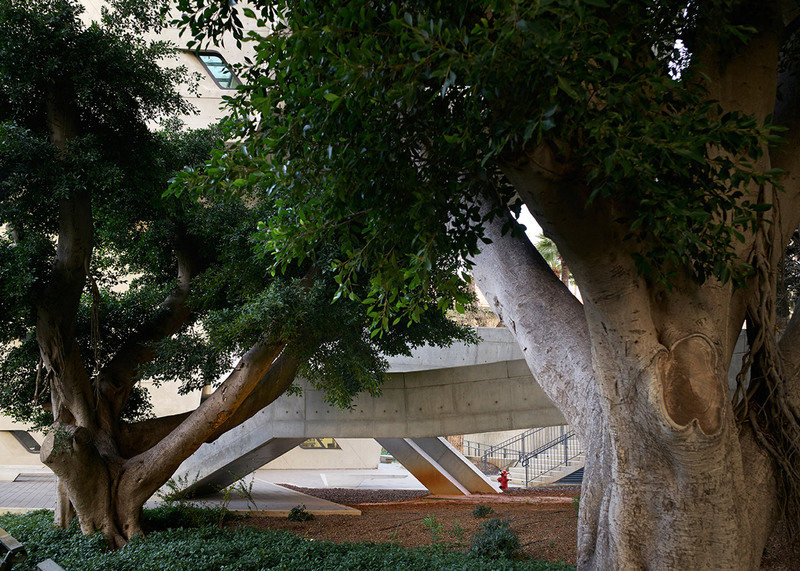 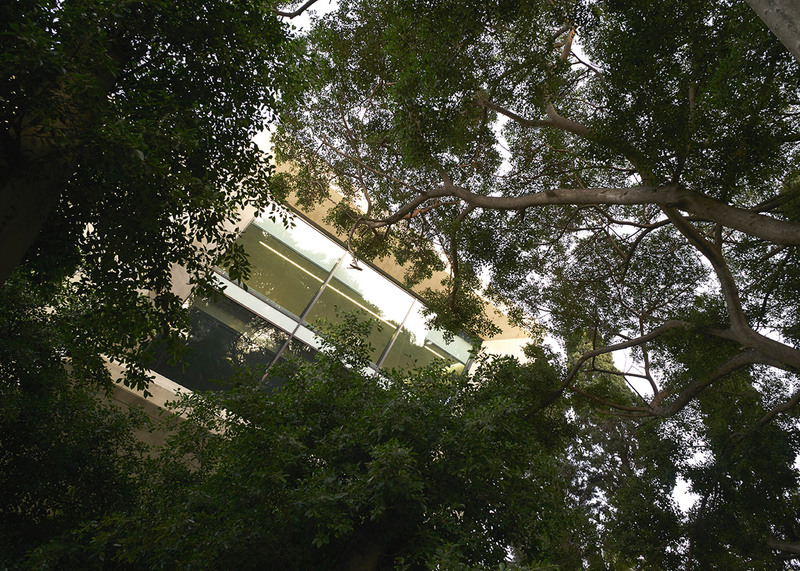 Century-old ficus and cypress trees surround the building, offering additional shade and privacy to the sheltered outdoor courtyard, which Hadid envisioned as a forum for the exchange of ideas. 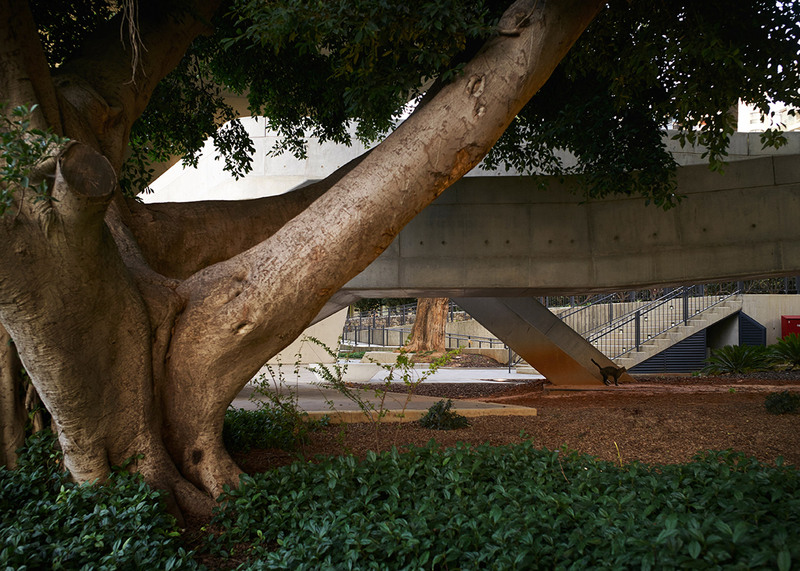 "I was hanging out there, trying to read what people go to that school and what the social structure of that place is," explained Lanoo. 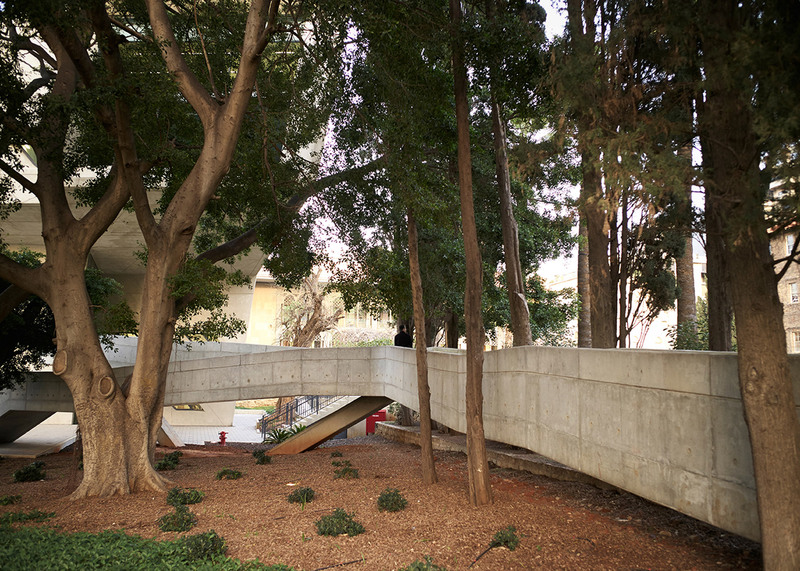 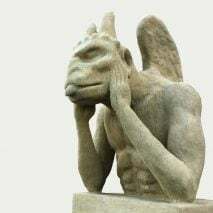 "And while waiting and thinking, I did see something surprising – a cat at its ease walking by and stretching its back on the 'perfect' spot," he said. 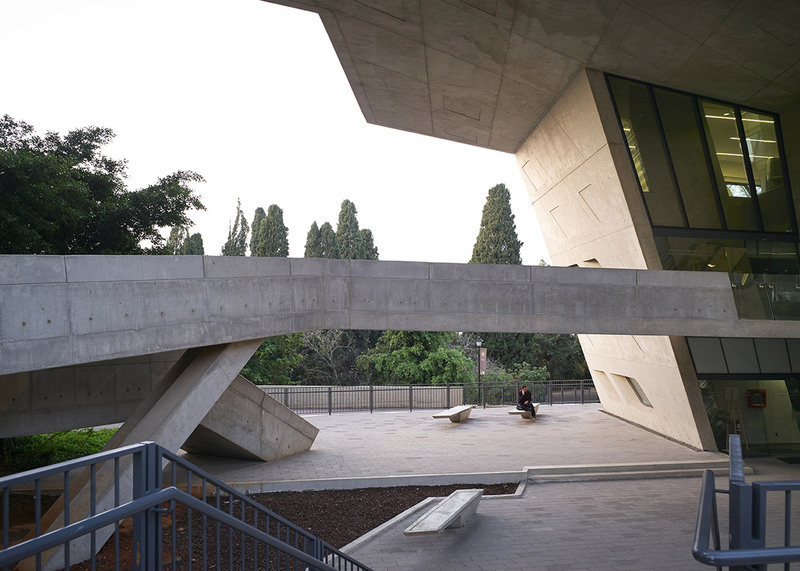 "I took a photo and thought – and I really thought it at that moment – Zaha just walked by." 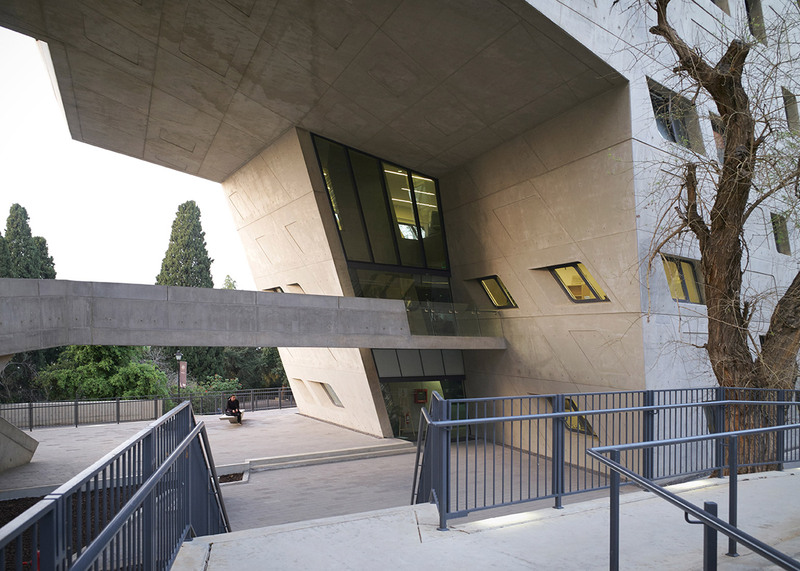 Norman Foster remembers Zaha Hadid's "courage, conviction and tenacity"
"It was strange, but I felt the cat as being Zaha, so in her element and with knowledge of the place." 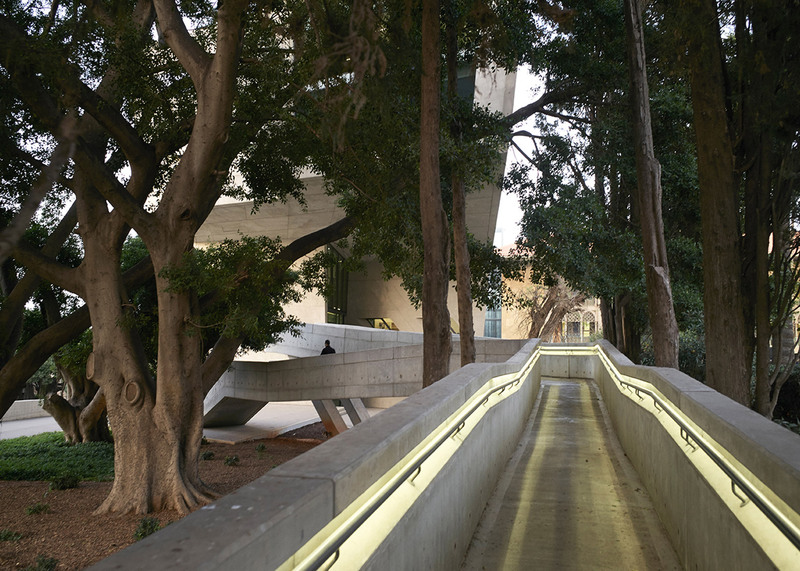 Hadid passed away on 31 March aged 65, while being treated for bronchitis at a Miami hospital. 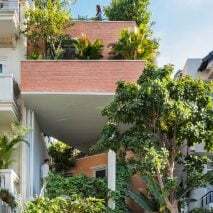 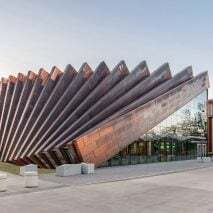 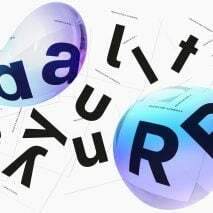 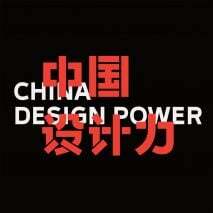 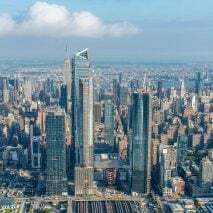 Her untimely death has prompted an outcry from the architecture and design community, with Norman Foster, Rem Koolhaas, Kengo Kuma and Richard Rogers among those to have paid tribute. 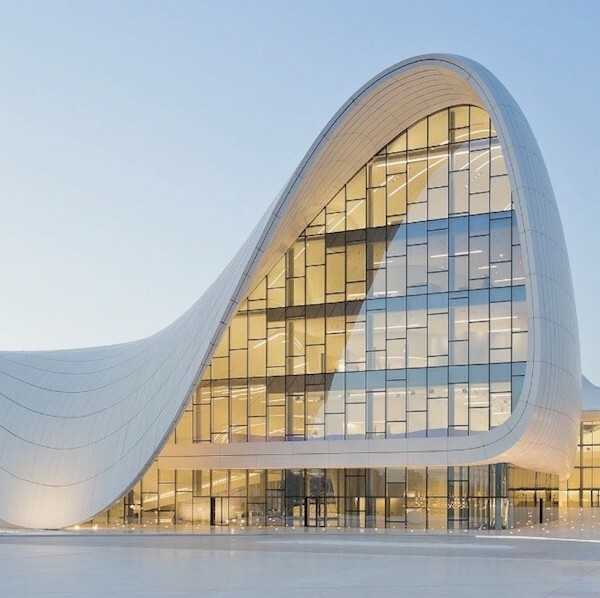 British photographers Hufton + Crow have also paid their respects, by selecting their favourite images of her buildings across a six-year relationship.